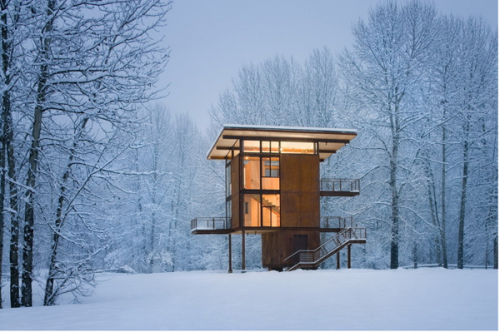 If you spend any time on the Olson Kundig Architect website you will most certainly fall in love with one of their homes. 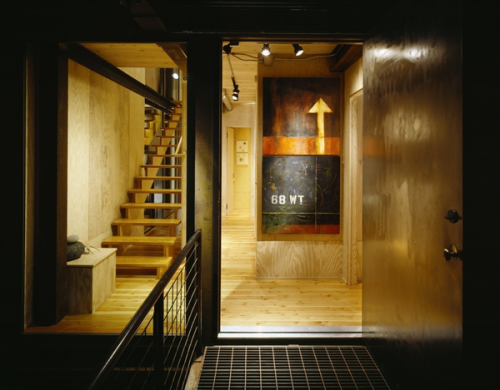 The work out of this firm is appreciated on blogs throughout the world, but the homes themselves are more often than not built in Washington. Lucky them. I recently spent some time up at my father’s NH property and couldn’t help but think that this building, the Delta Shelter, would look beautiful perched somewhere on a hillside. 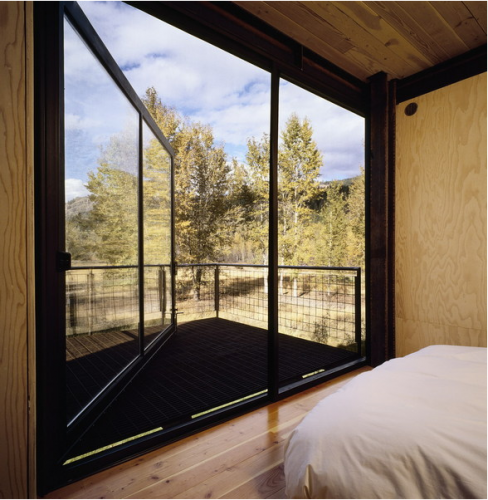 Project Details: This 1,000 square-foot weekend cabin, basically a steel box on stilts, can be completely shuttered when the owner is away. 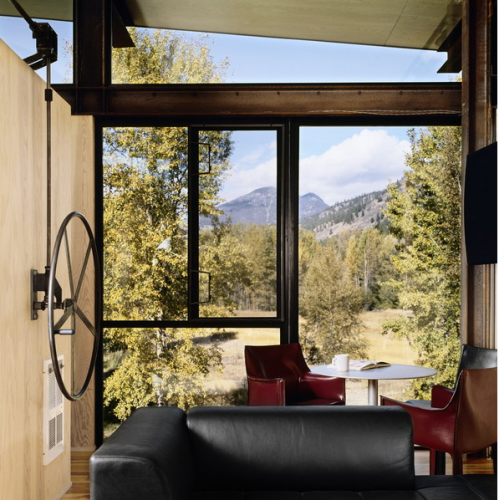 Situated near a river in a floodplain, the 20’ x 20’ square footprint rises three stories and is topped by the living room/kitchen. Large, 10’ x 18’ steel shutters can be closed simultaneously using a hand crank. 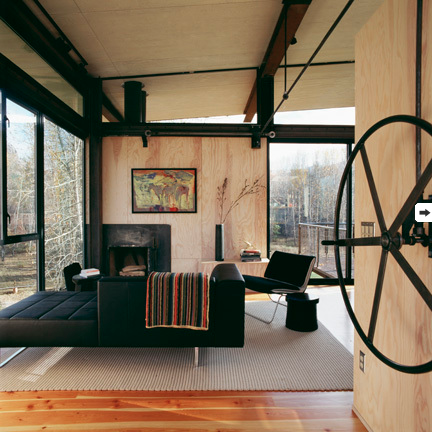 Tags: cabins, christian williams, delta shelter, design, fancy seeing you here, fancyseeingyouhere, home, house, olson kundig architects, sarah hanks, Sarah Hanks Ltd.